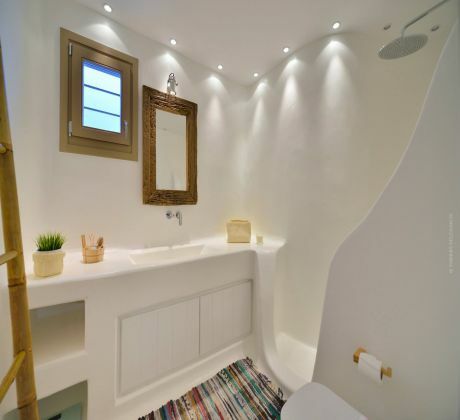 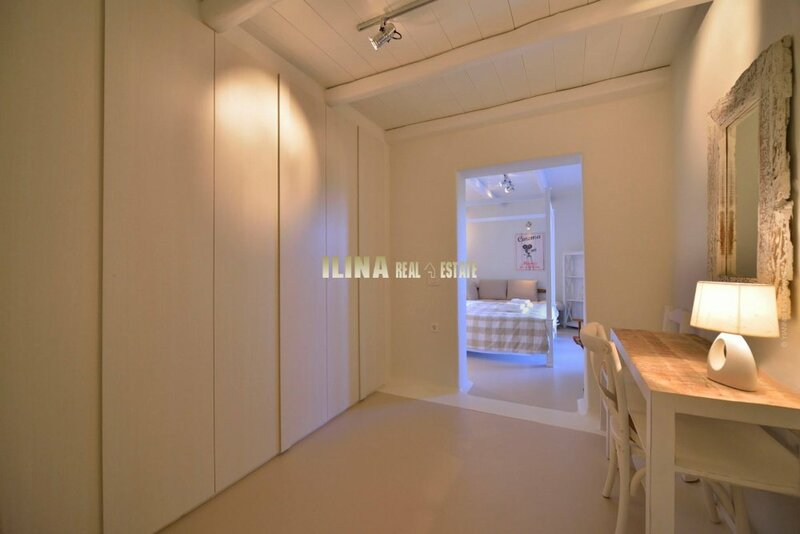 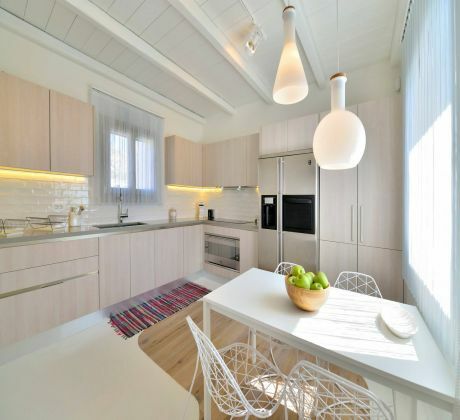 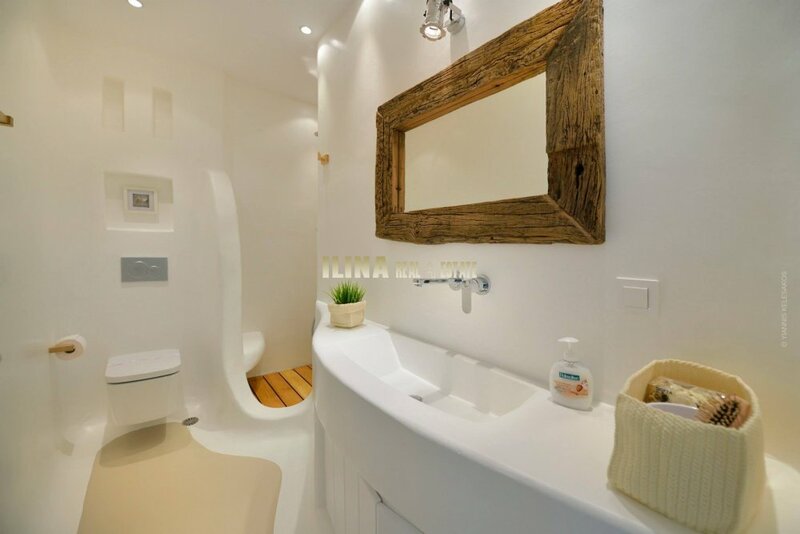 This property, the largest of the complex, consists of four spacious bedrooms and a maid's room and storage. 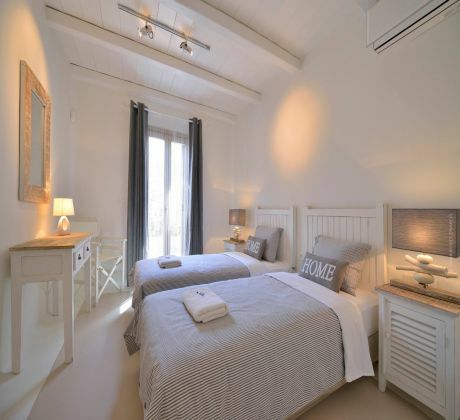 Two of the four bedrooms have en suite facilities and two double built in beds with bedside tables, TV, and several storage areas. 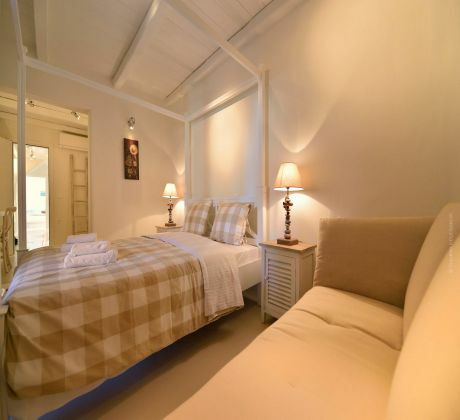 The other two bedrooms are sharing same bathroom. 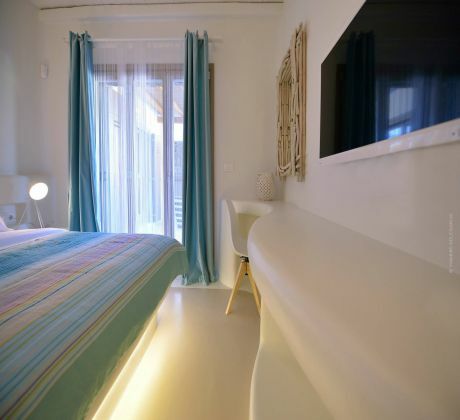 The guest room has its own bathroom and kitchenette. 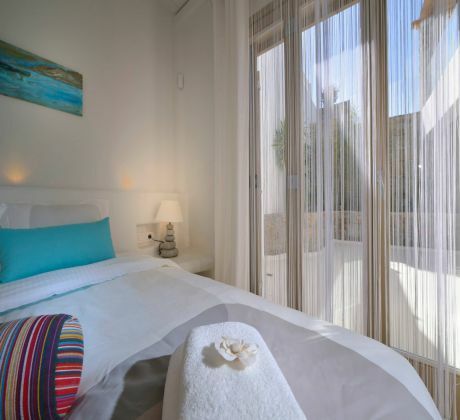 All bedrooms are fully equipped to the last detail. 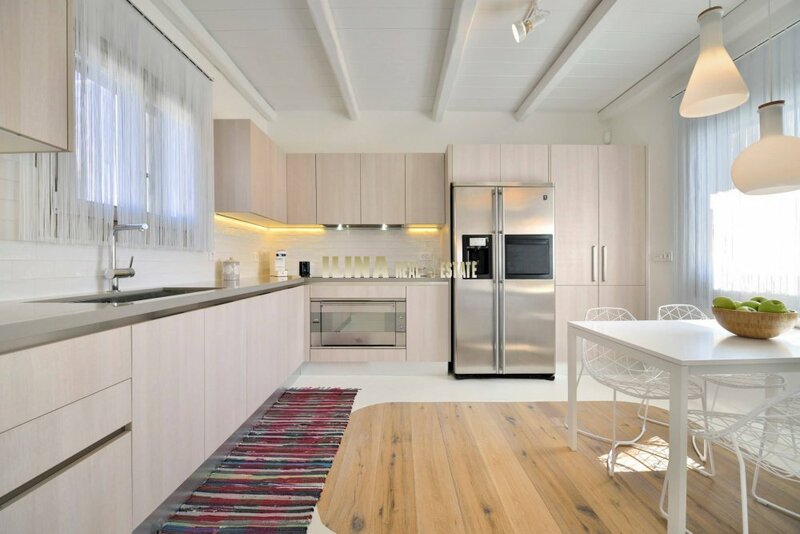 The ground floor has a large dining room for 8 people, a spacious living room with fireplace and an independent kitchen, fully equipped with SMEG appliances and a table for 4 persons and a WC. 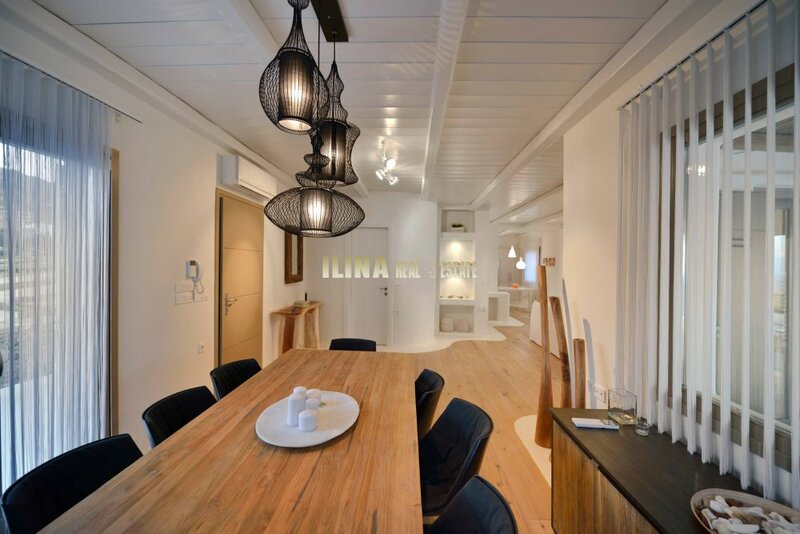 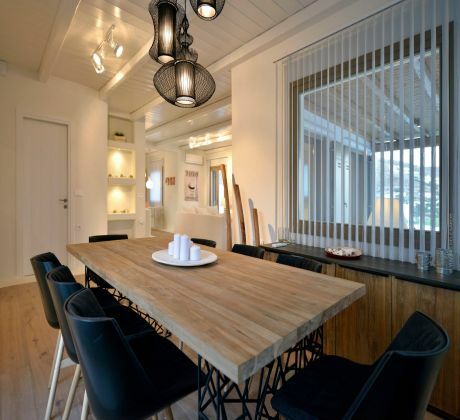 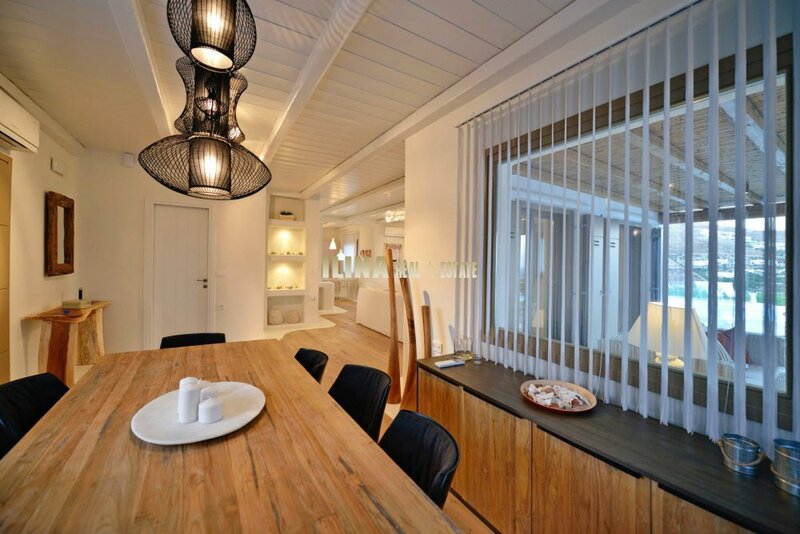 The house is surrounded by a beautifully landscaped outdoor area of 1,200 sq.m. 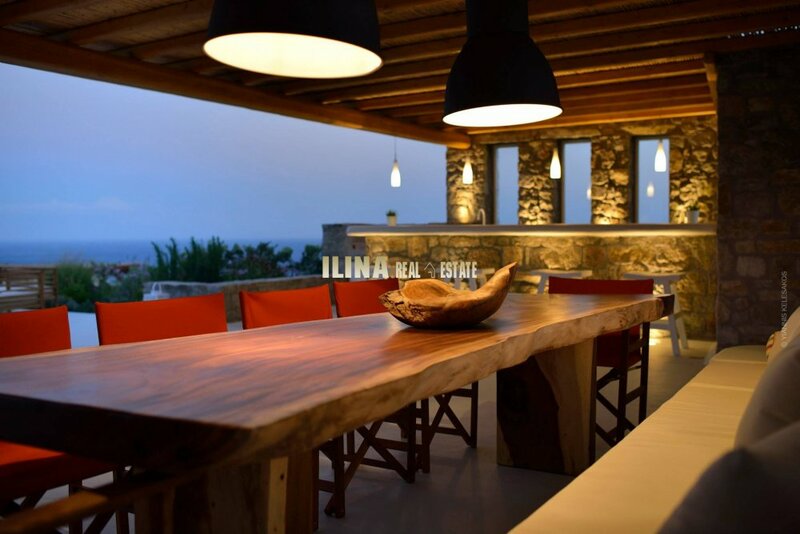 and large verandas 200 sqm, which are shaded by wooden pergolas and consist of a living room for 8 people, two separate dining areas 6 and 10 people, as well as a full bar and barbeque. 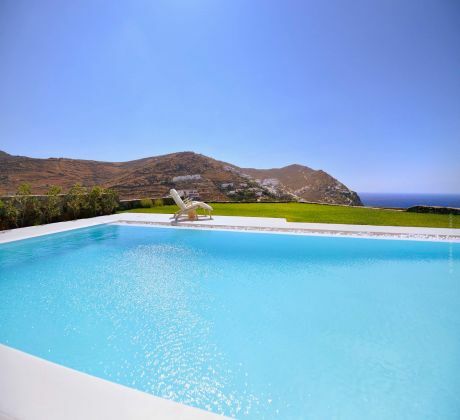 Front of the house, with fantastic views to the sea, there is a very large pool, size 14x7m. among with jacuzzi, that creates a sense of relaxation and wellness. 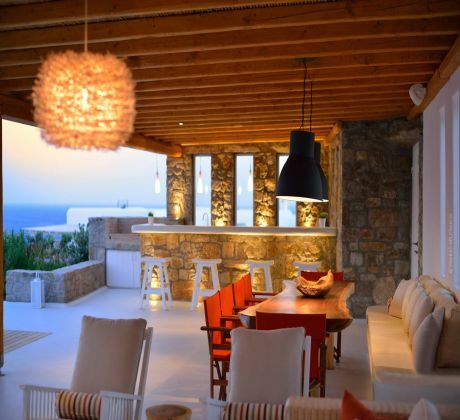 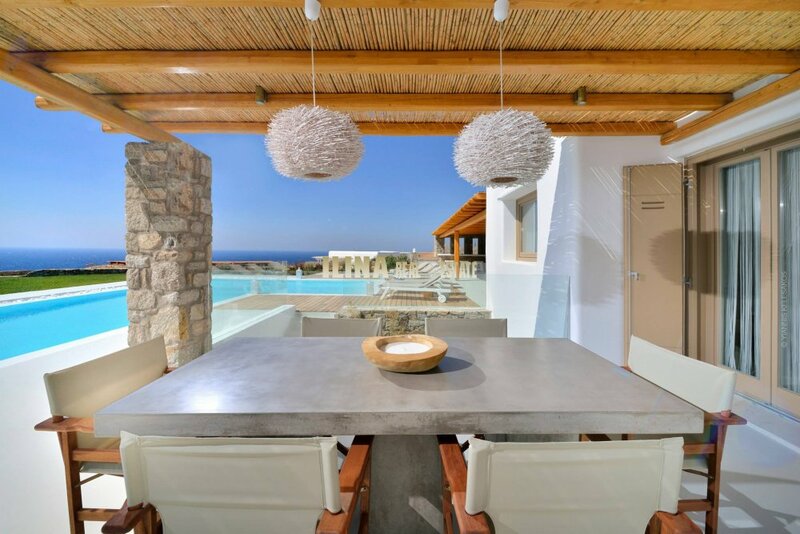 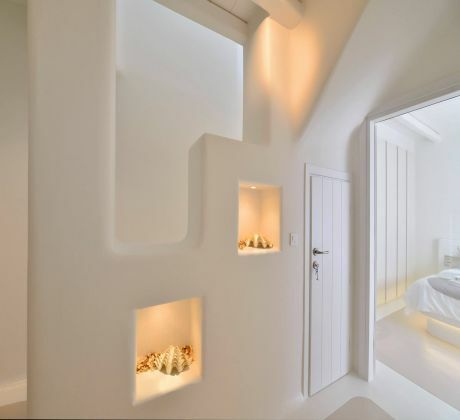 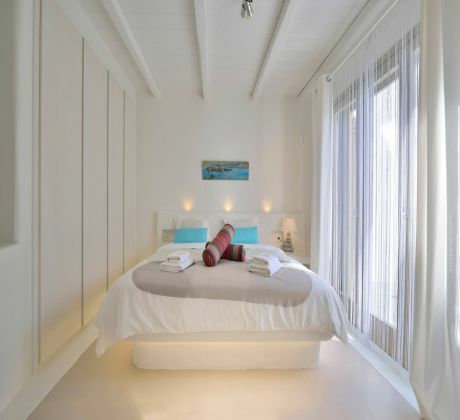 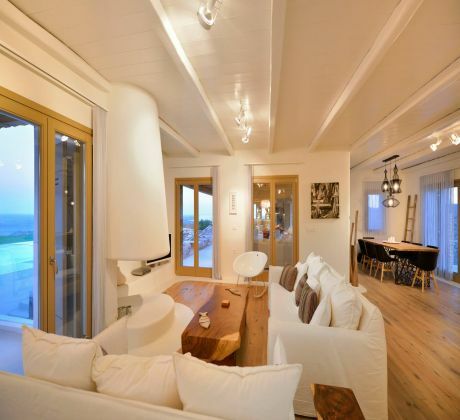 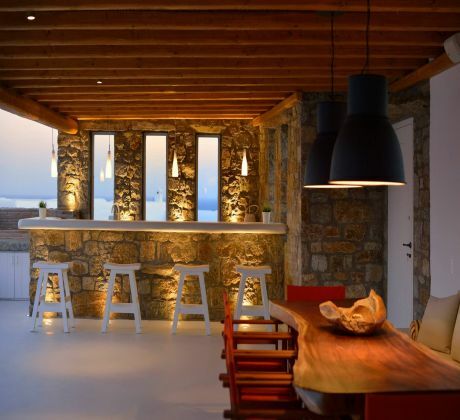 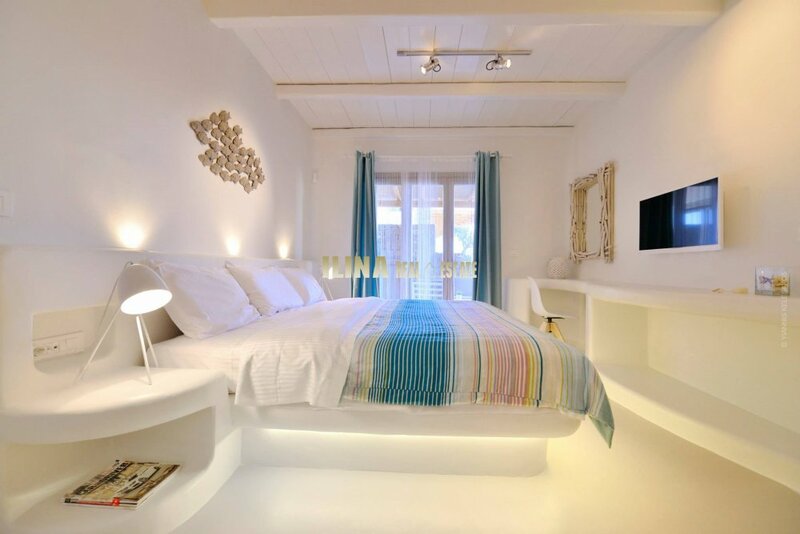 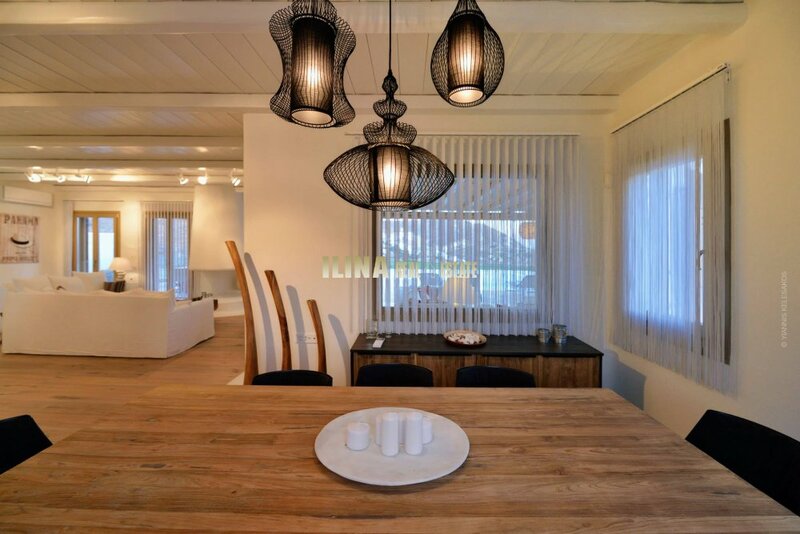 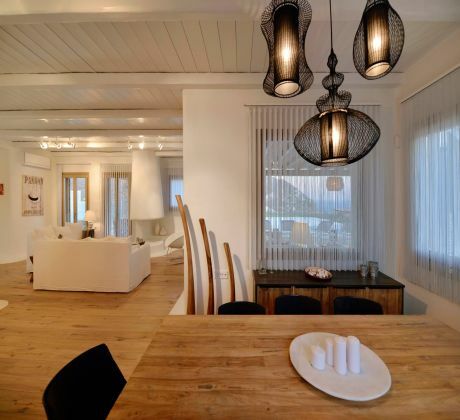 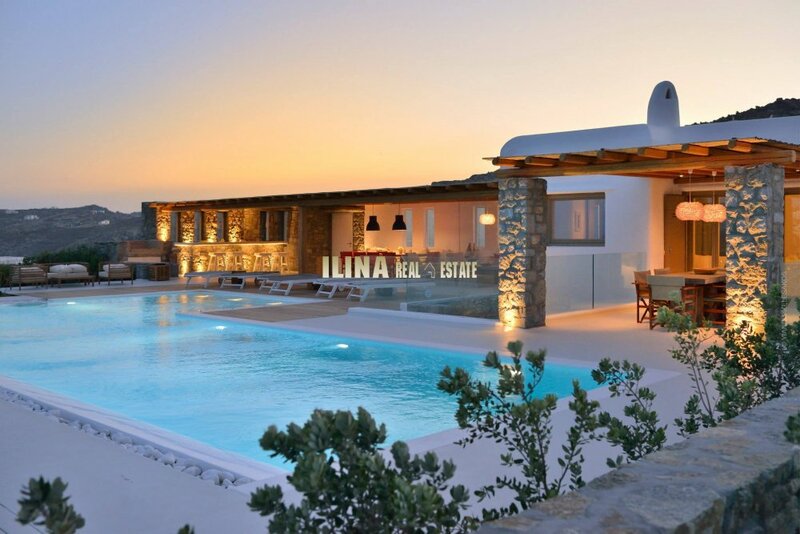 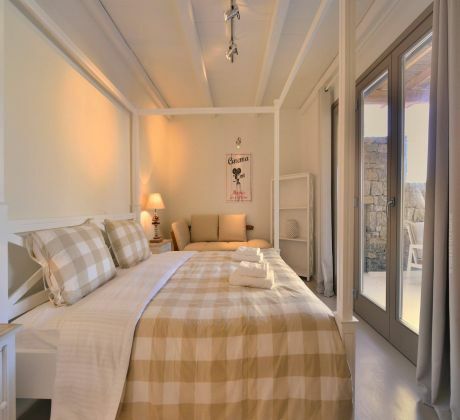 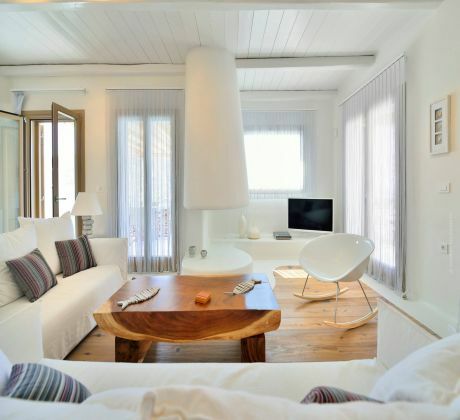 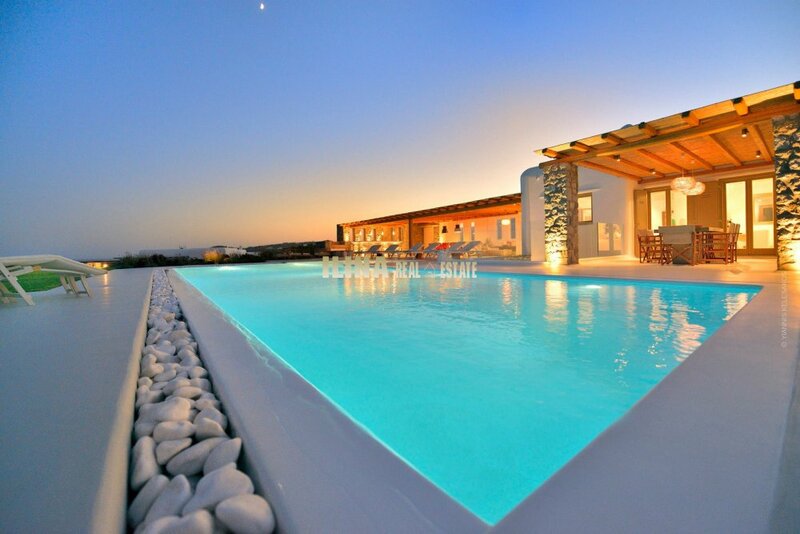 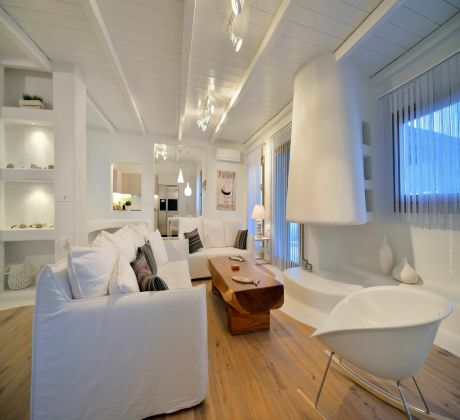 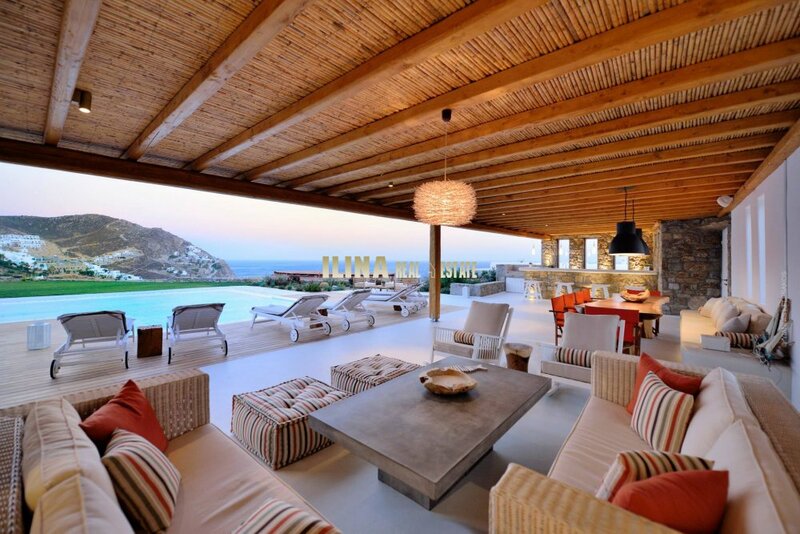 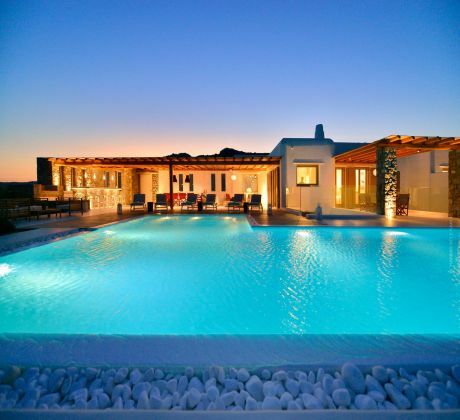 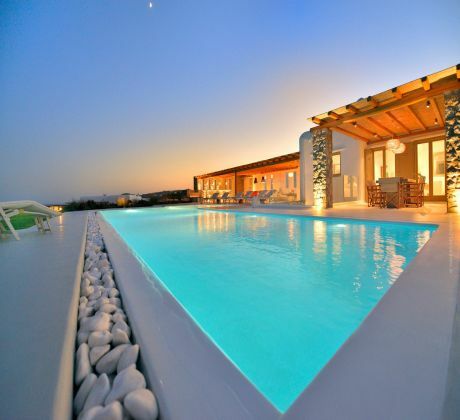 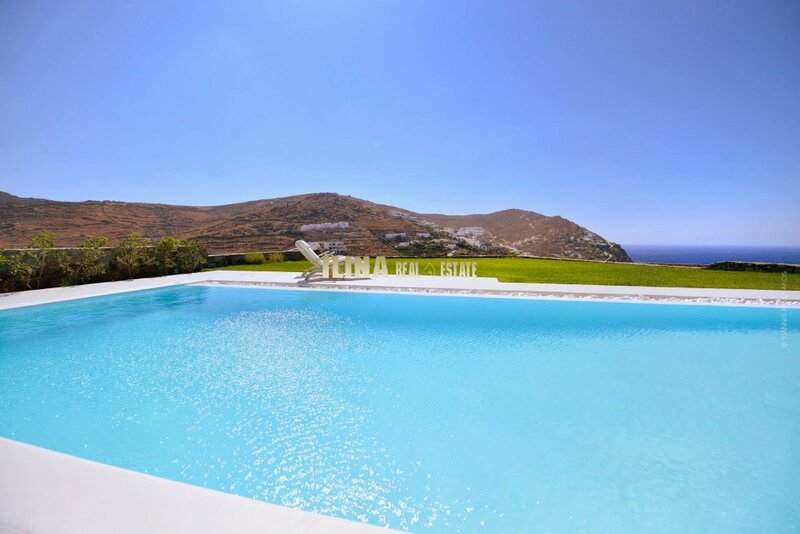 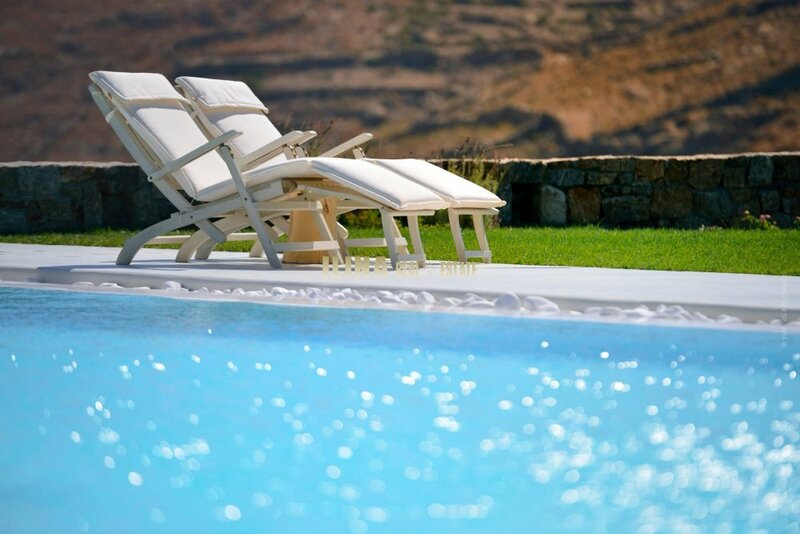 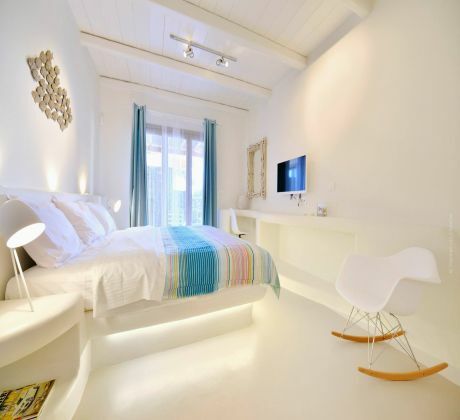 It is a very comfortable luxury villa with magnificent view to the sea and the islands of Naxos and Paros. 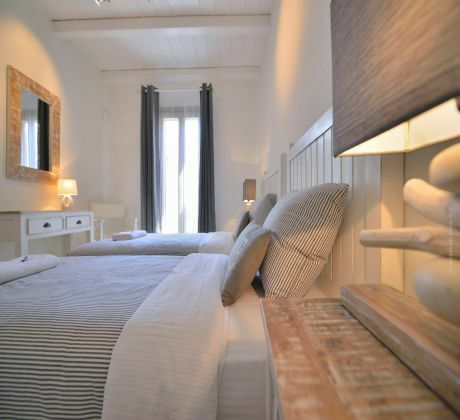 Very well protected from the northern winds, ideal for families or groups of friends can sleeps 9 people, plus 2 people staff. 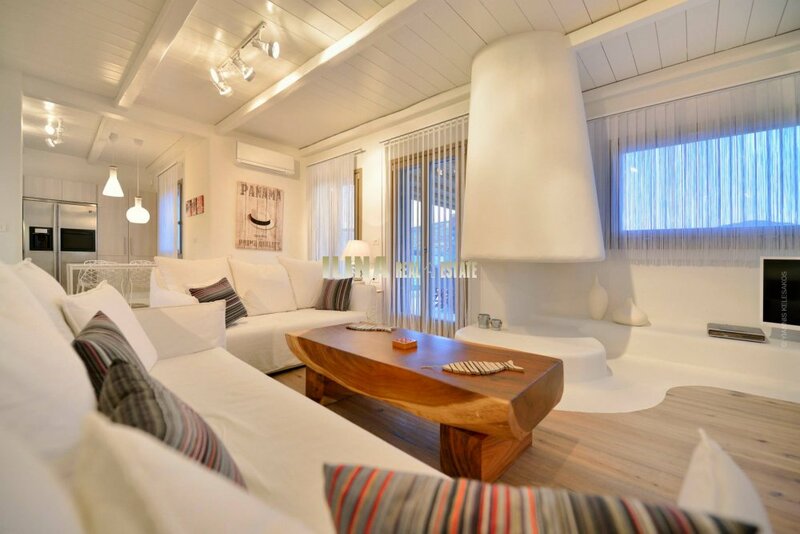 It has Wi-Fi, satellite TV, air condition in all rooms, and private covered parking 4 cars. Cleaning service, changing linen etc., upon request.